What’s the Best System for Smart Home Automation? 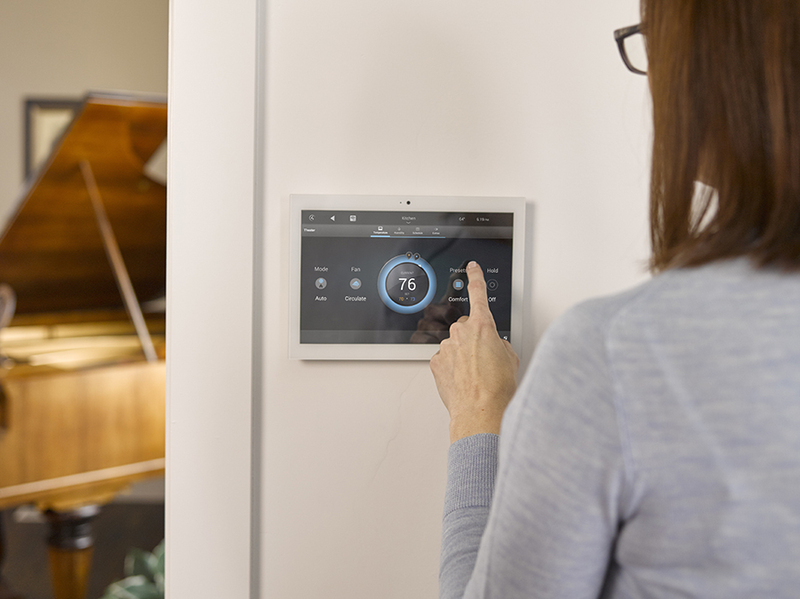 The smart home movement is growing larger every day, with new and innovative smart devices you can add to your Arizona property. This is a great thing for Scottsdale homeowners, but it can also be daunting if you’re just starting out. With so many options to choose from, how do you make sure you’re picking the best smart home platform for your needs? As one of Arizona’s top Control4 dealers, you can probably guess what we’re going to recommend. There are a lot of reasons why we think Control4 is the best option out there – keep reading to learn them! It doesn’t matter if you have the coolest, most innovative technology in the world if the system controlling it isn’t easy to use. Designing a user interface that makes it easy to find everything is no simple task, but Control4 has done it. The main screen of the interface is separated into intuitive categories like security and lighting. You just pick the section that relates to what you want to control (say, the surveillance camera in the garage or the lamp in the living room), and within a few taps, you’re right where you need to be. If you’re more a fan of physical remotes than touchscreens, Control4 still has you covered. You can get a universal remote that still connects to the same smart system accessible through your smartphone or tablet. With some smart systems, you can get boxed in on what you can and cannot do. We feel like that really cuts down on one of the main advantages of having smart home automation – the ability to customize it to fit your lifestyle. Want to create a smart scene that will cause your technology to wake you up each morning in the most relaxing way possible? Want to have your motorized shades and lighting fixtures work in sync to keep each room at the perfect brightness levels, rain or shine? Want to use the same app to access your music, surveillance cameras, and smart thermostat? With Control4, all of these things and more are easily achievable. If new technologies debut in the future, you can bet that Control4 will support them. In fact, Control4 was one of the first smart home automation systems to support integration with Amazon Alexa. They lead the pack In innovation, so if you’re an early adopter of technology, Control4 will ensure you get the latest and greatest in your home. Not sure if Control4 has the features you’re looking for? The easiest way to find out is by giving us a call at 480.361.9500. We are a certified Control4 dealer who has more than a decade of experience designing and installing custom smart home systems. We’d be happy to talk with you more about Control4 and all the different smart upgrades you can make to your Arizona home.